On the watch is this Rainbow Lorikeet. Looking around, protecting its nest…Who knows what’s inside? 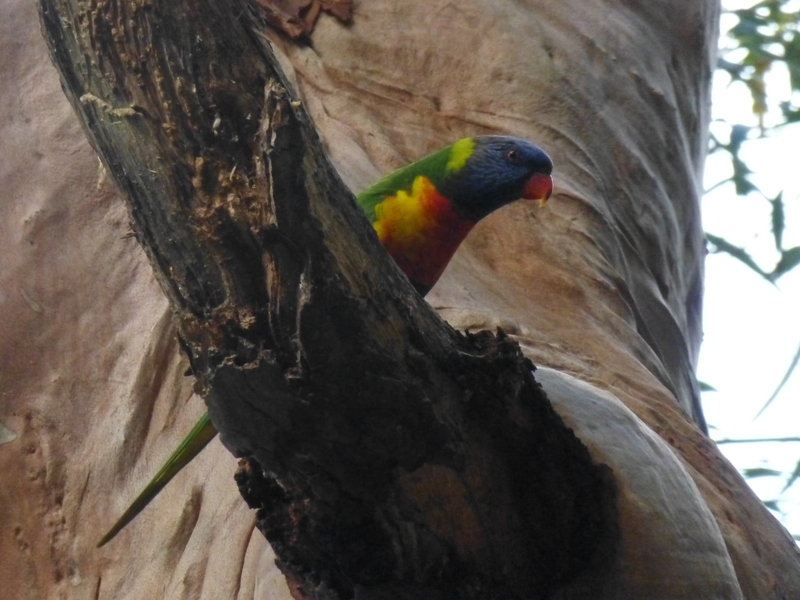 I’m happy to report that these Australian parrots are very common in our local park, and, I guess, second only to Sulphur-crested Cockatoos in number. Their colours are magnificent. 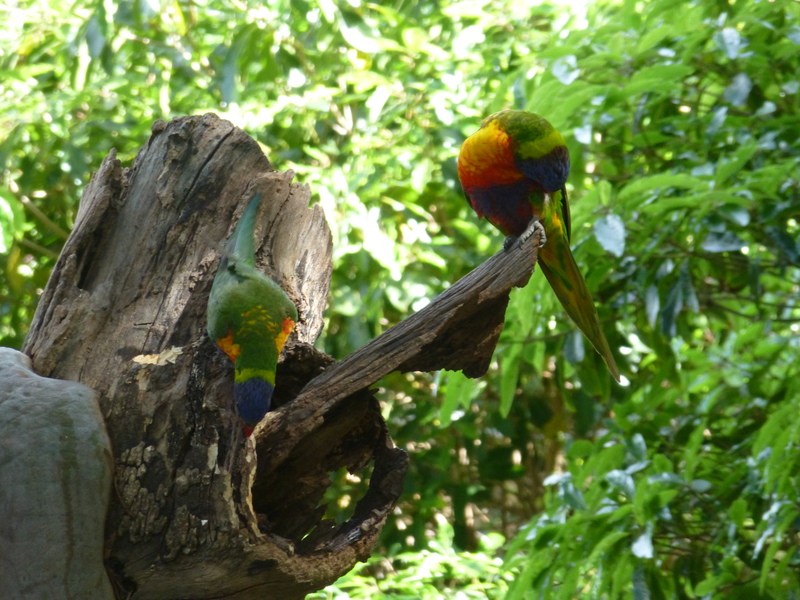 Small wonder they’re named ‘Rainbow Lorikeets’! What is more heartwarming than watching prospective parents in the process of making their home? In the case of birds, it’s all about nests. 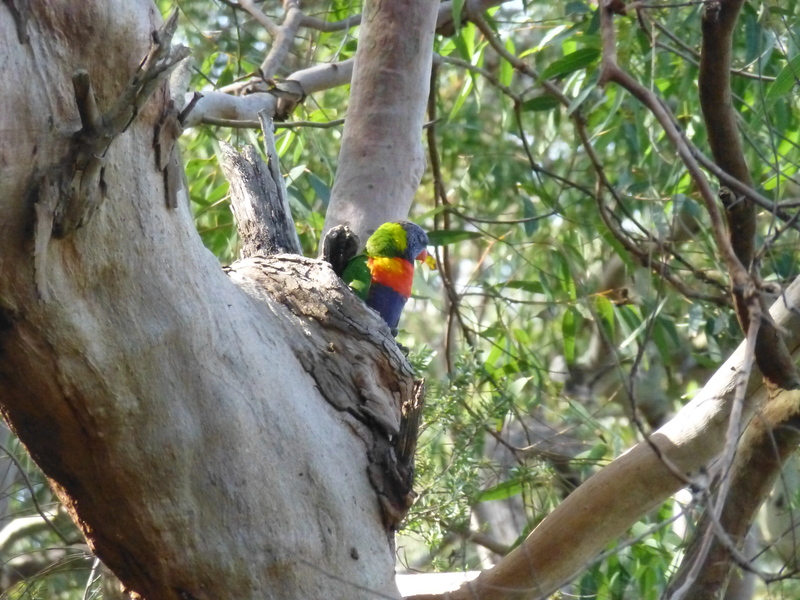 Australia’s Rainbow Lorikeets put their creativity to work in tree hollows. Here’s a pair that are engrossed in the task. I photographed these in the local park in a Sydney suburb. 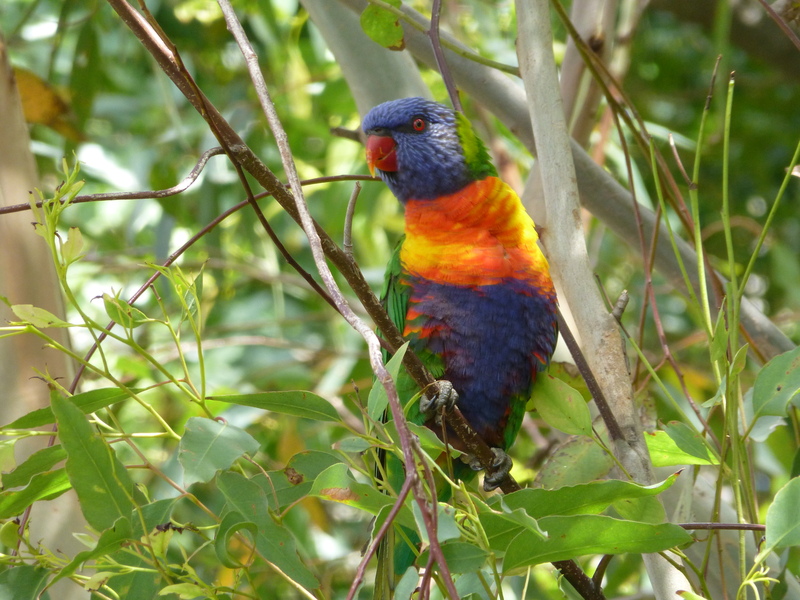 Is that in the mind of this Rainbow Lorikeet? This beautiful bird certainly looks as though he’s ready to swoop! This photograph was taken at a suburban bushland park in Sydney, Australia.